Inspired by …. marvellous candy cane cupcake recipe and my love of peppermint I thought this would be a cool winter craft. 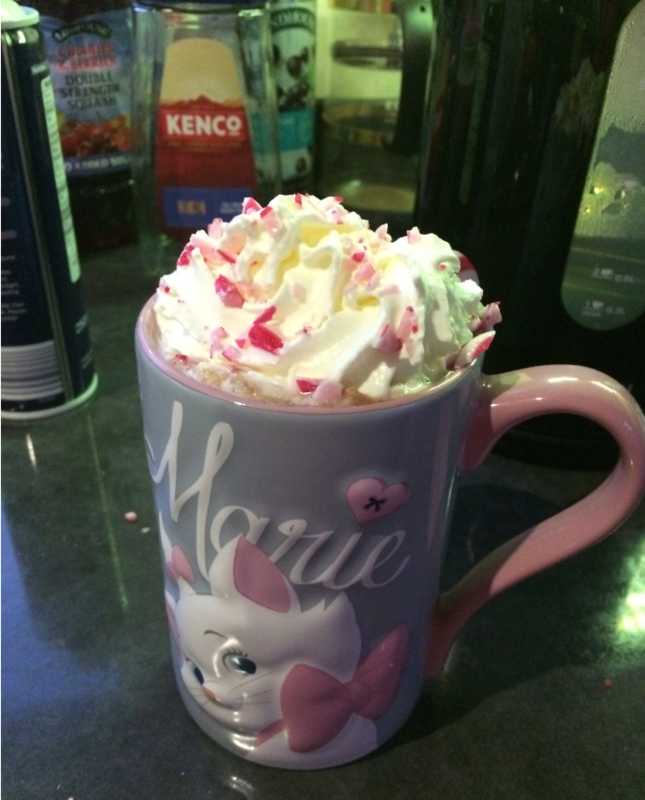 Basically, I started out by adding some peppermint to my hot chocolate as I’ve always seen people drink it this way in Christmas films – on Netflix. I did it solely for a laugh, however, it turned out to be really good. So I thought I’d share it with you – my beloved viewers – as its just so tasty. 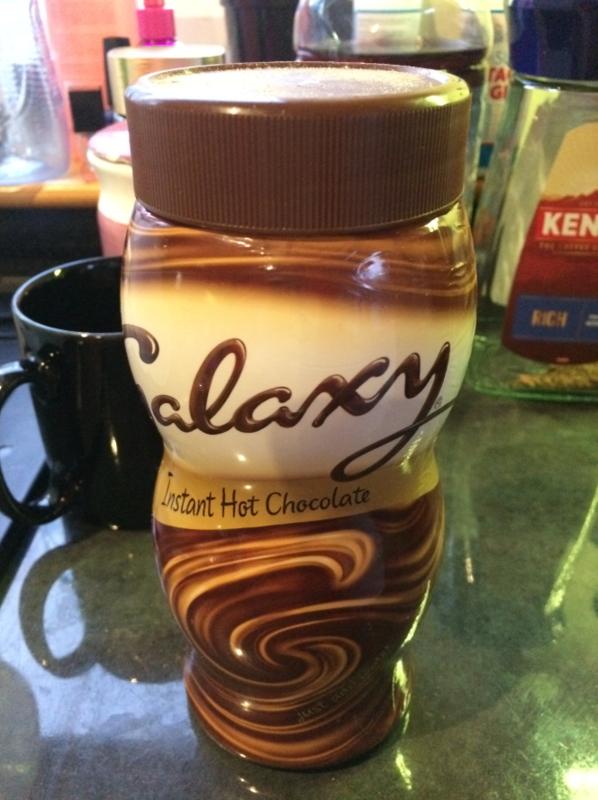 First, add 3 heaped teaspoons (or however directed on the packet) of hot chocolate to warm milk. Add 1 teaspoon or less of peppermint extract to your hot chocolate, whatever suits your taste, and mix moderately with an tea spoon. Here’s the fun part. 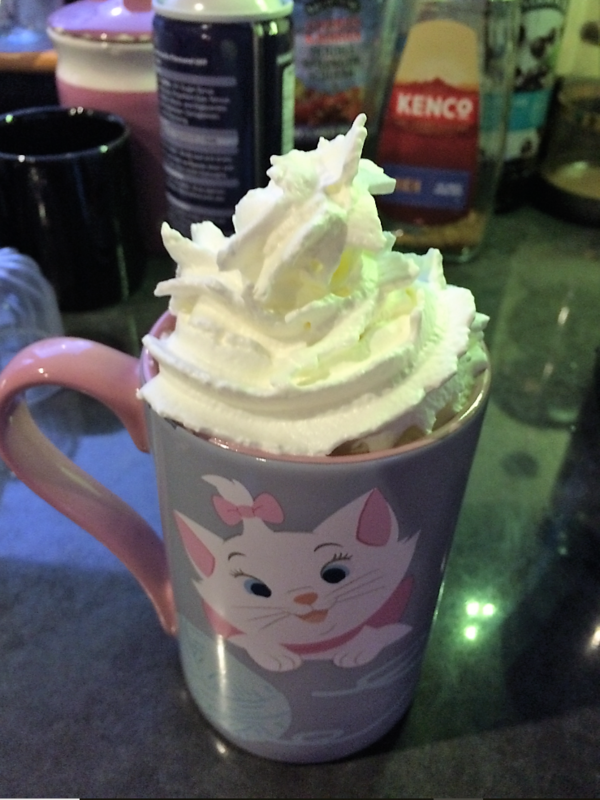 Add a mountain of whip cream on top of your hot chocolate spiralling as you go. 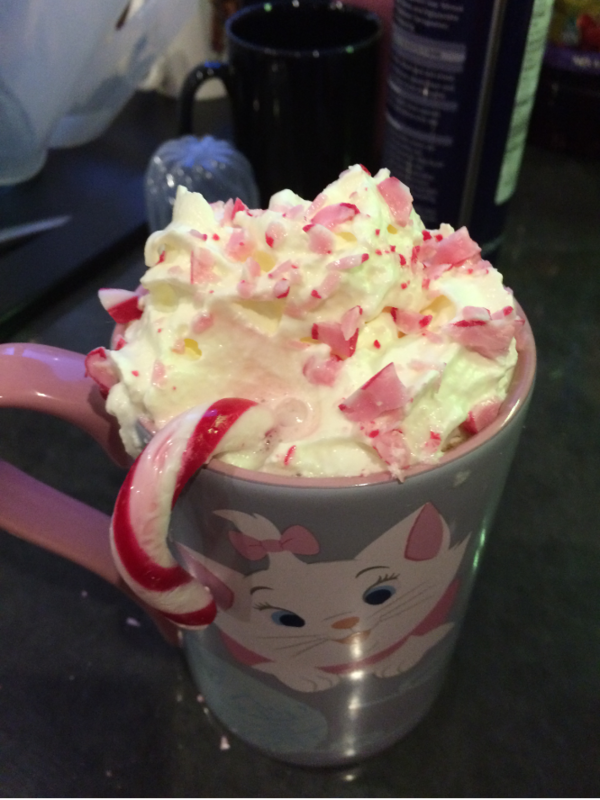 Crush a handful of peppermint candy cane and sprinkle over the cream. The mugs a lot deeper than the candy cane. So I kind of lost it amongst the cream. I recommend using a smaller mug. To finish off, add one or two large traditional candy canes (mint flavoured). 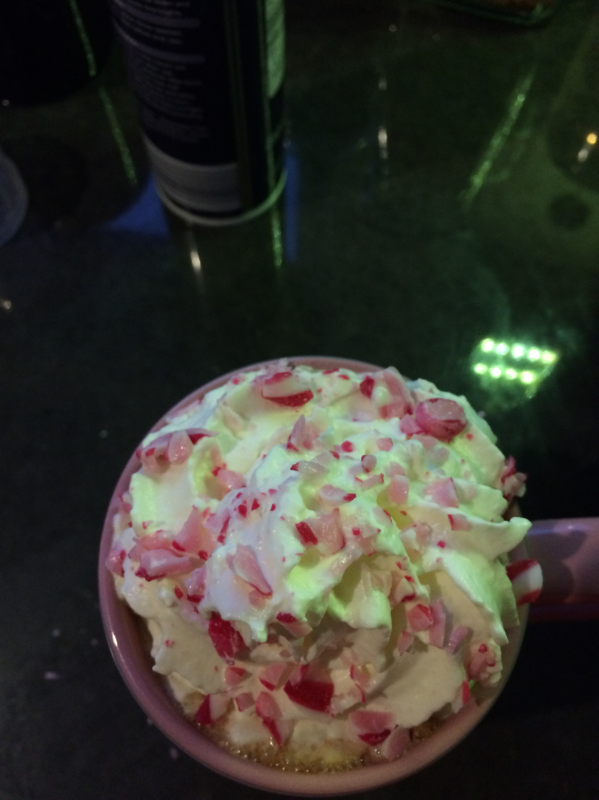 You could even add extra Christmas sprinkles for aesthetics atop the crushed peppermint candies. So with that there you have it, this is now ready to be enjoyed whilst watching films in front of the open fire.